At West Coast Sand & Gravel, we pride ourselves with the special attention we take in caring for our customers. 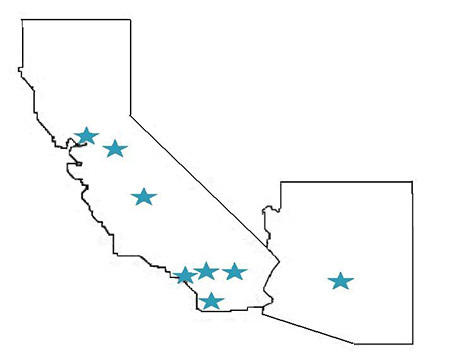 With locations in Buena Park, Colton, Corona, Fillmore, Irwindale, Modesto, Palm Desert, Phoenix, Sacramento, San Diego, San Francisco Bay Area, Tracy, and Visalia, we are in your neighborhood and ready to serve you. Give us a call, get a quote, or send us an email using the information below and we will help you with anything you need.